Last month, Google announced new permission restrictions to protect user privacy. The new restrictions limit access to permissions related to SMS and the Call Log. For the most part, Google only wants the default handlers for phone calls and messaging to have access to SMS and Call Log permissions. Google is requiring developers to reach out to them and plead their case for why their app needs to use these permissions. However, several developers learned that Google had rejected their bids to use these permissions. As a result, apps like Tasker, ACR Call Recorder, and EasyJoin would have to abandon useful features that users had paid for. Now, it seems like Google is expanding the list of exceptions to their rule with the addition of “task automation” apps. When the new Google Play Developer policy was announced, Google allowed a few app types to be exempted from the SMS and Call Log permission restrictions. 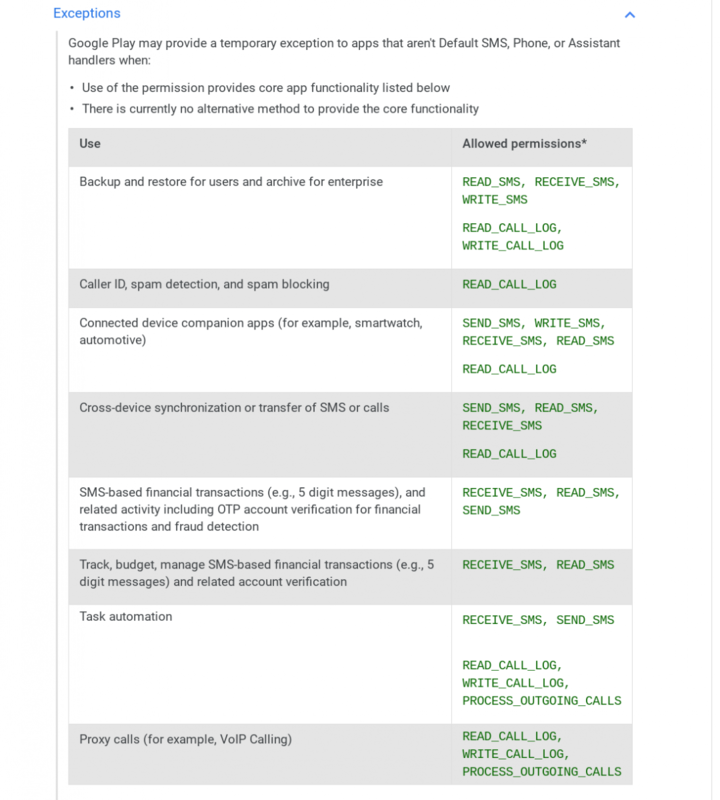 Apps for enterprise archival, caller ID, spam detection, spam blocking, and connected device companions among others would be allowed to continue using these permissions. 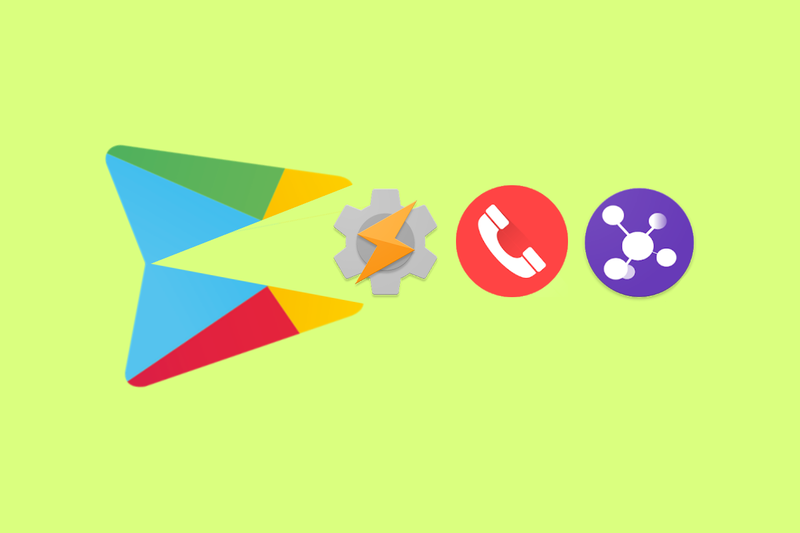 Apps like Tasker were not exempted from the restriction, as the Tasker developer learned when the Google Play policy team deemed his use of SMS and Call Log permissions to be “unnecessary for the core functionality” of his app. Although Google has yet to make an announcement, the list of exceptions on the Google Play policy page has been updated to list “Task automation” as an exempted category of apps. This means that apps like Tasker will almost certainly be allowed to use SMS and Call Log permissions going forward. We don’t know if apps like EasyJoin will qualify, and I don’t think call recording apps like ACR Call Recorder will be affected by this change in the policy. However, we’ll keep you up to date if we learn more. Update 1/4/19: The developer of Tasker states that Google has approved his use of SMS and Call Log permissions and that no functionality will be lost. The other developers have not won their appeals yet.